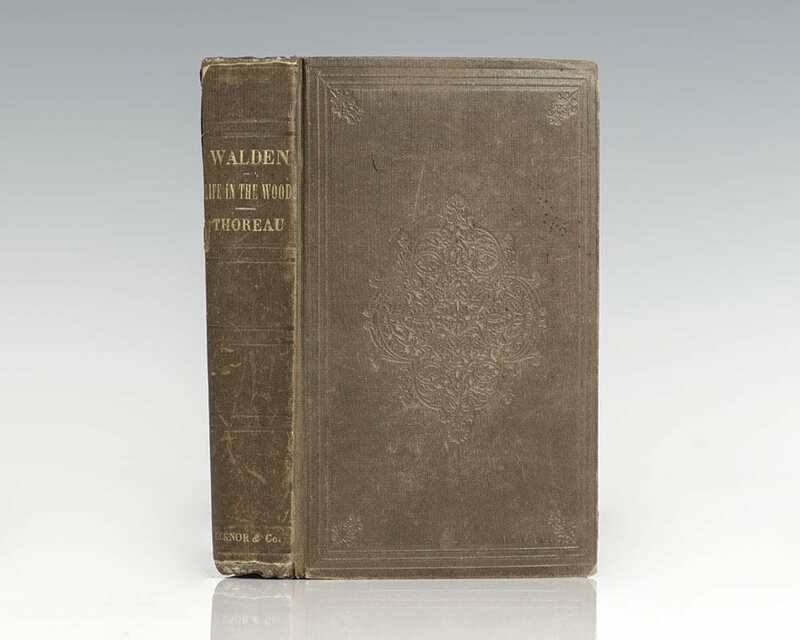 First edition of Thoreau’s masterpiece. Octavo, original brown cloth with eight pages of advertisements inserted between rear endpapers. Title-page vignette of Thoreau’s cottage and lithographed map of Walden Pond. In very good condition with only light wear to the spine. 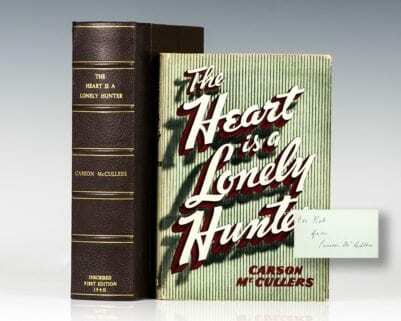 Housed in a custom half leather clamshell box. Allen 8; Borst A2.1.a; BAL 20106. A very sharp example of this work. 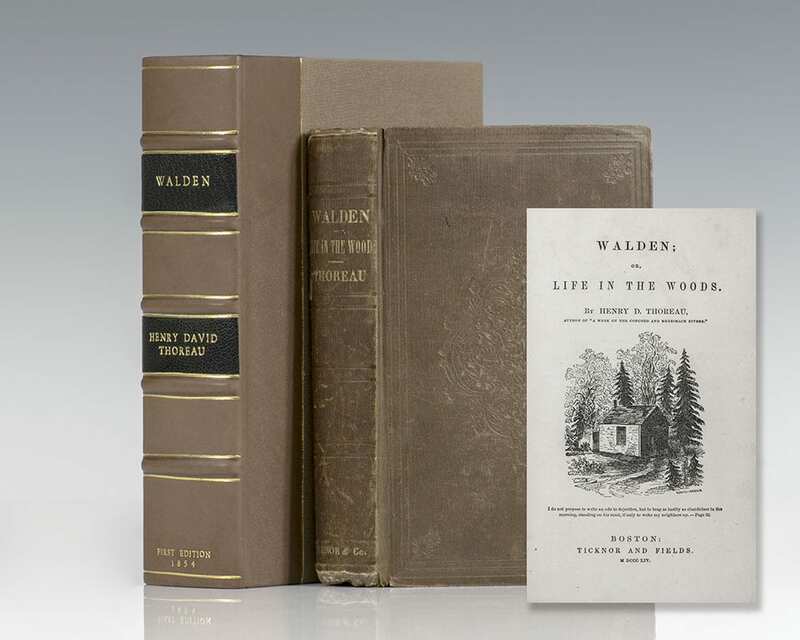 "[Walden] still seems to me the best youth's companion yet written by an American, for it carries a solemn warning against the loss of one's valuables, it advances a good argument for traveling light and trying new adventures, it rings with the power of powerful adoration, it contains religious feeling without religious images, and it steadfastly refuses to record bad news" (E. B. White, Yale Review, 1954). 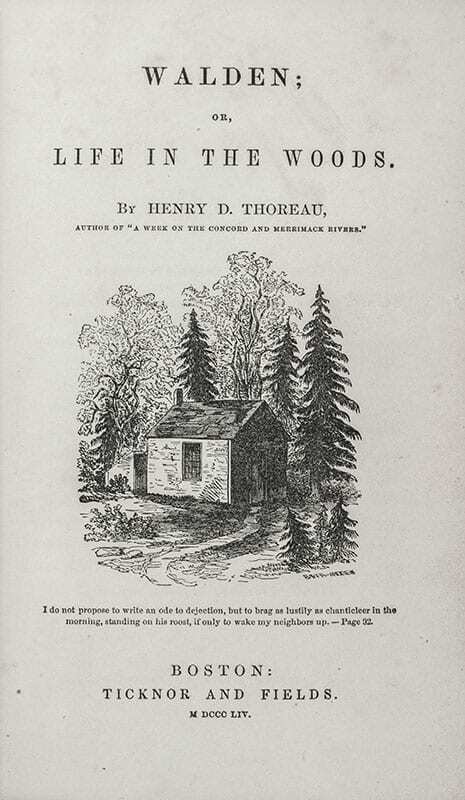 The manuscript edition of the writings of Henry David Thoreau. With the original manuscript sheet by Thoreau from his journal tipped-in to volume 1. The two page manuscript fragment comprises 58 lines from “Autumnal Tints,” in altered form, published in the Atlantic Monthly, October 1862, and collected in Excursions the following year. 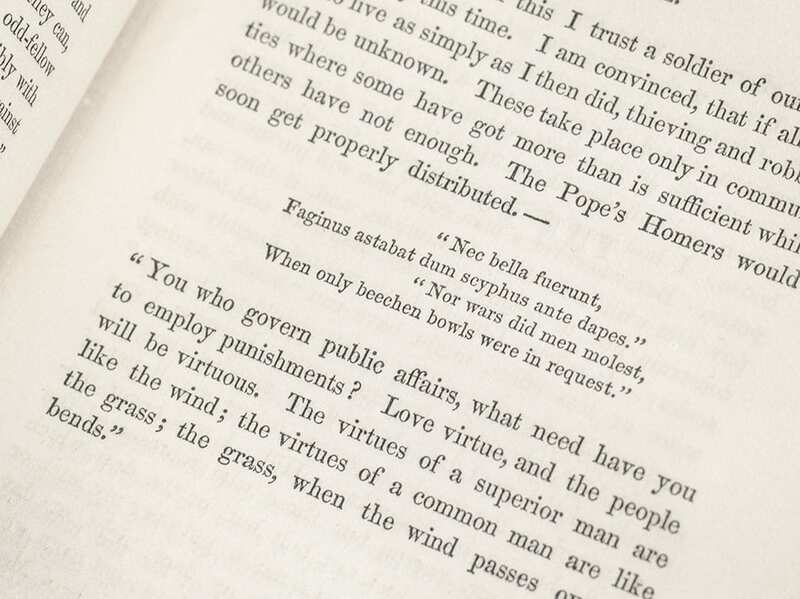 The fragment concludes with the line containing the title phrase: “When you come to observe faithfully the changes of each humblest plant, you find that each has sooner or later its peculiar autumnal tint, or tints […].” Octavo, 20 volumes. Bound in the publisher’s three-quarter green morocco over marbled boards, spine elaborately tooled and lettered in gilt in compartments, raised bands, top edge gilt, marbled endpapers. Signed by the publisher. Illustrated in each volume with a photograph of flowers and a hand-colored scenes used as frontispieces and additional plates inserted throughout. In fine condition without wear.